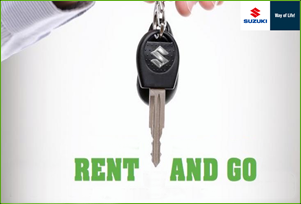 We are very glad to announce that we are providing special rates on rental vehicle. As we are located on old airport we like to extend our hassle free service and very competitive rate. We specializes in short and long term Vehicle Rental and Leasing services for Corporate and individual use. We have a wide range of immaculately maintained and serviced fleet of Suzuki vehicles directly from its own Suzuki Dealership in Qatar. We also provides vehicles for long term lease to suit your taste and financial plan. Highly recommend. Good start to our holiday. So easy, staff friendly. We would definitely use the service again and recommend to our friends and family. Excellent price, the car was in perfect condition, easy to drive and really comfortable for a big move. This company deserves a 5 star! Copyright © 2019 Teyseer Motors W.L.L Rental & Leasing division | All rights reserved. Copyright © 2017 Teyseer Motors Rental & Leasing. All rights reserved.